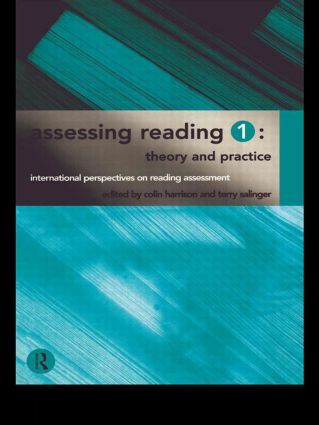 This book, along with its companion volume Assessing Reading 2: Changing Practice in Classrooms, was originally conceived as the major outcome from an international seminar on reading assessment held in England. It focuses particularly on theoretical and methodological issues, though with a clear series of links to practices in assessment, especially state and national approaches to classroom-based assessment in the USA, the UK and in Australia, at both primary and secondary levels. Chapters offer new perspectives on the theories that underlie the development and interpretation of reading assessments, national assessments and classroom-based assessment, challenging readers to think in different ways.